V2389. 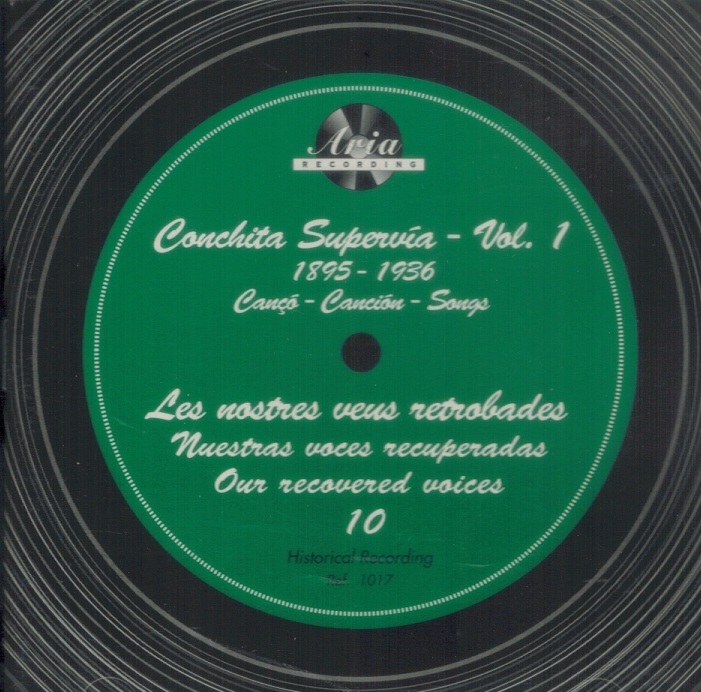 CONCHITA SUPERVIA: Songs by Toldrá, Marqués, Marraco, Manén, Mompou, Morera, Longás, Lamote, Pahissa, Ribas, Bou, Chané, Baldomi, Nin, Grieg, Bizet & Mendelssohn. 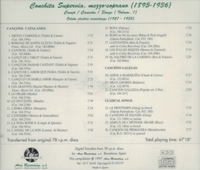 (Spain) Aria 1017, recorded 1927-33. 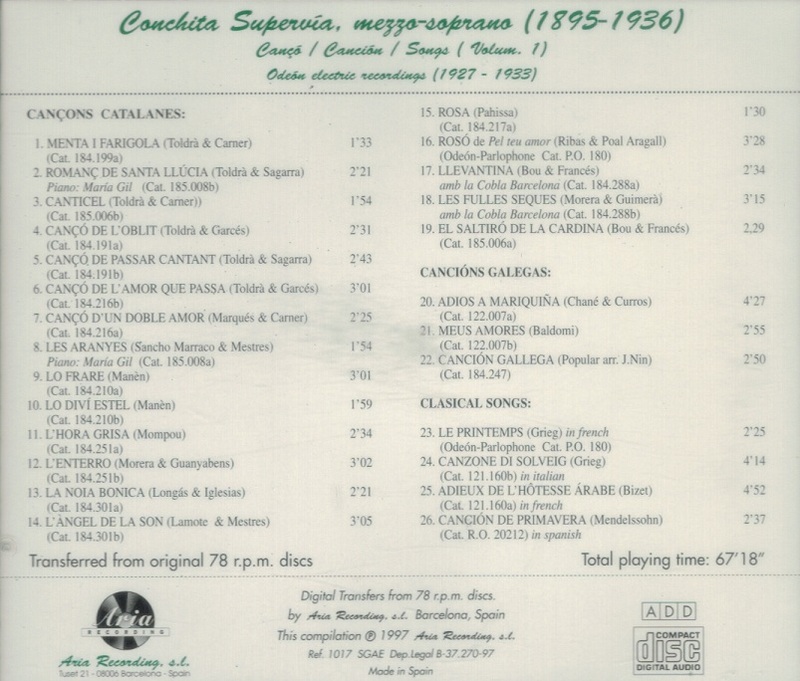 Elaborate Brochure features Biography, Discography & Chronology in English, Catalan & Spanish. Very long out-of-print, Final Copy! "[Supervia] mixed the colours of her song with daring and intuitive skill: its scents and shades, flashes of scarlet among pastel tints and delicate half-tones, were a florist’s shop in themselves, and rivals were soon out of business….She remains, through her records, one of the most vivid and enchanting of all singers." "Both on the opera stage and on the concert platform [Supervia] displayed a communicative power which can hardly have been surpassed; and this warmth of temperament is evident too in almost every one of the 200 or so recordings she made. She was incapable of dullness; even in the most trivial song there will come a phrase so personal and so completely genuine that the listener feels something akin to physical contact. In whatever language she sang – and she was a gifted linguist – she filled each word with meaning, and lent the utmost grace and point to the turn of every musical phrase….she always conveys to the listener an extraordinary sense of joy in the sheer act of singing."